Does A Will Oversee the Distribution of All of Your Assets? Are you thinking about using a will? It is one of the most important estate planning tools and yet is also one that is frequently overlooked by people who could benefit from a will and other estate planning strategies. One of the biggest myths about estate planning is that a will oversees the distribution of each one of your individual assets. A will allows you to establish how your belongings should be distributed. Whether it’s family heirlooms, a vehicle or something else, wills do have limitations, however. The will has control over the assets that are in the person’s individual name alone. If an owner has joint accounts or accounts listed with beneficiaries on them, the will has no controlling power over these accounts. This is a lesson that many people have had to learn the hard way when their loved ones expected to receive benefits outlined for them in the will but instead, these materials were passed on according to the beneficiary designation forms filed directly with appropriate companies. Many different types of companies and accounts do use beneficiary designations that override what is established in the original will. These include retirement accounts, certain types of brokerage accounts and life insurance policies. A regular review of the beneficiary designations on these policies is helpful for figuring out whether they are outdated or include a former spouse. Since the only information that those companies have to pass on your assets are in the form of beneficiary designations, you must protect yourself by regular review of these materials. Furthermore, you’ll want to establish a primary as well as a contingent beneficiary. The biggest reason for doing this is because if something happens to your primary beneficiary, you will want someone else to be able to receive those assets quickly and effectively. 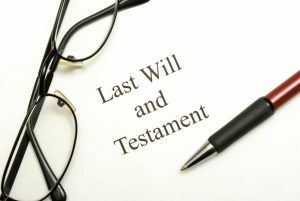 What Happens to Basic Wills/Trusts After I Pass Away? Basic trusts and wills are value estate planning tools that essentially assure that your assets are distributed according to your wishes after you pass away. If you do not have estate planning documents like this in place, you could make mistakes that could leave your heirs paying the price. This also increases the chances that your heirs may argue about who has a rightful claim over the property included in your estate, and you are essentially handing over the opportunity to make decisions about these issues to the state. The state may not come to a conclusion about what is in your best interest or the — what is in your beneficiaries best interest or what you might have listed yourself. Properly written trusts and wills go a long way towards articulating your individual goals and giving you a clear path going forward. If you do not have an experienced estate planning attorney to help you with these various documents, you could be exposed to a number of different challenges. Properly written trusts and wills should be evaluated on a regular basis to ensure these strategies are still in line with your individual needs. 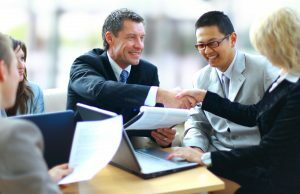 The support of an extended planning attorney during this time is extremely valuable for identifying possible problems. Why Do Wills Need to Be Recorded? You may not need to necessarily record a trust although an important component of your trust strategy is to fund it after you have put it together. Far too many people stop after the establishment of a trust and fail to follow through with the funding. There are many different estate planning concepts included in the answer to the question about why a will needs to be recorded or filed. When you leave a will, you leave a clear set of instructions that help to determine how your property is distributed to your heirs after you pass away. Someone must have the authority to transfer this property and this authority is granted by a court after the will is appropriately filed. 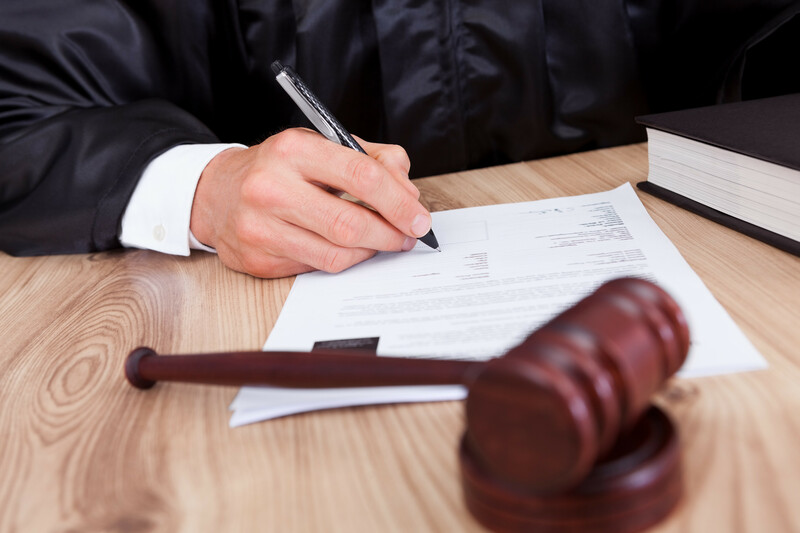 The process of presenting the official will triggers the beginning of the probate process. A trust, however, is an entity that is generated when a trustee and a settlor enter into a trust agreement. A person who does not control the trust may have more challenges than a person who establishes themselves as a key player in the trust. Although you can’t touch or see a trust as you would a printed will, this is a legally recognizable entity that contains some distribution instructions after you pass away. However, the court does not have the authority to grant the settlor’s final instructions included in a trust. This is a major departure from a will. Since the trust can survive the settlor and the trustee is granted the authority in such an agreement under state law, no court involvement may be required. Schedule a consultation today with an experienced estate planning attorney to learn more about your options with regard to estate planning. Should Married Couples Have Separate Wills? You and your spouse might have the same intentions for your future estate planning, but there’s plenty of good reason to set aside your own will for the purpose of protecting your loved ones. You need to ensure you have the right documents to protect your interests and plans. When putting together a will for a husband and a wife, your estate planning attorney will probably recommend that each person has their own will. 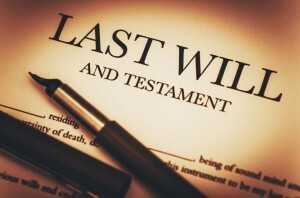 Although a married couple may reference a will as a joint document, the word will in the New Jersey probate code is usually used in the singular tense to refer to the last will and testament of a woman or a man. Establishing an individual will is extremely important particularly as your life circumstances change. Although there is history for joint wills in New Jersey, it is not entirely clear how this would work unless both parties passed away the same time, such as in an accident. Because of this, you may wish to articulate similar goals as your spouse in your own individual will but it is powerful and preferred that you have your own estate planning document. You and your spouse can sit down and discuss the goals that you intend to accomplish and putting together a last will and testament together. Is My Will a Shield Against Probate? There are so many different myths out there surrounding the process of estate planning that it is often too late after someone realizes that a mistake has been made. You may have experienced a loved one who has passed away and left inadequate estate planning instructions. These can be catastrophic and extremely difficult emotionally for family members to handle in the wake of grief. For this reason, you need to engage in the process of estate planning early and update your estate plan on a regular basis. One common mistake that people make is thinking of their will as their only tool and shield against probate. Many people are under the impression that if they have a will that they do not need to go through the court system or probate. Revocable living trusts are a tool that enable you to avoid probate; however, the revocable trust is not effective unless your assets are retitled into the trust name. If you hold the assets in your name alone without a beneficiary designation then the assets are distributed in accordance with the terms of your will. Before any assets can be collected or distributed with the help of your executor, you have to go through the court system and probate. You may be able to express who is eligible to receive what in your will but this situation could still end up in the courts determining the distribution of assets. It is much better to engage in the process of estate planning now by scheduling a consultation with an attorney who can walk you through the pros and cons of various tools and ensure that the strategies you select are in line with your personal needs and wishes for the future. What Are the Primary Purposes of a Will? As the most basic of estate planning documents, most people will benefit from a will. There are a number of different goals that can be accomplished by establishing this tool and it may become the sole component of your estate plan or it may work in conjunction with other tools and strategies. First of all, your will provides for the direction of distributing your assets to beneficiaries in the family after you pass away. An attorney can be utilized to customize its provisions. You are also enabled to appoint a personal representative to account for your liabilities, taxes, final expenses, and assets as well as distributing your remaining assets. A will is the only way to designate guardians for your minor children. If something happens to you, a judge may still have to approve this appointment but you will have articulated your wishes. If there are any minor children, you might also establish a trust to manage assets for them in conjunction with the will. A will has to be filed in probate court in order to remain effective. This is the judicial probate as your judicial process for managing the assets to transfer them effectively if you pass away or for managing assets if you are incapacitated. A court is responsible for overseeing the distribution of assets and payment of liabilities. Typically, an executor will need to employ an attorney. Although your will is an important component of your overall estate plan, it is not the only tool that you may wish to use. 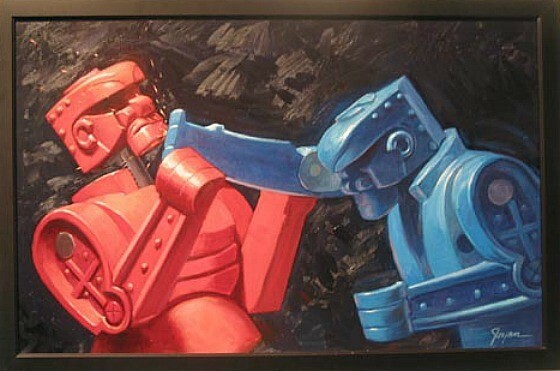 Your unique circumstances will dictate what you need to use in order to accomplish your estate planning goals and scheduling a consultation today with a knowledgeable estate planning attorney is the only way to have the peace of mind that someone is working on your behalf and that you have the appropriate tools to help you if you become incapacitated or suddenly pass away. Doing all of the necessary work to put your things in order and to ensure that you have carefully considered all of the different tools and strategies that can be used to accomplish your estate planning goals is only a piece of the puzzle. It is equally important to consider the many different tools and how you will be able to share these with your loved ones. If something were to happen to you unexpectedly, would your family members know where to locate the necessary information? For most people, the answer is no. While many people understand the value of putting together an estate plan and ensuring that it is in a safe location such as a safe deposit box, it is common for individuals to put these items in a safe place and then to forget where that safe location is. While you’re assuming that you may never do that, unfortunately, many different estate planning attorneys can share their experience of digging through old boxes and storage looking for a copy of a living will or a power of attorney for people who would have said the same thing. In a case where a client only executes one copy of a will, it should also be copied and stored in several safe locations. Furthermore, your family members must know where to access these details if something were to happen to you unexpectedly. 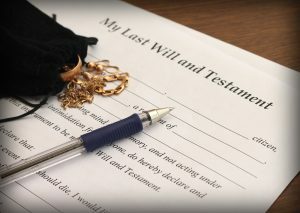 No one anticipates being in the position of having to put together estate planning documents, however, articulating these in a safe deposit box in a safe location within your home such as a safe that is protected from fire and in your attorney’s office gives your loved ones the necessary materials to take action as soon as possible if something were to happen to you unexpectedly. In the event that you want to ensure that your spouse gets access to your wealth after your death, this may be referred to as an ‘I love you’ will. In this situation your spouse will receive the assets outright and it will initially appear as if those assets will be handled according to the spouse’s current estate plan when he or she passes away. However, that surviving spouse could alter their estate plan at any time. That means that any verbal agreements about what will happen with those assets could disappear immediately. These wills will still have to go through the probate process. Basic planning could mean very little or no asset protection. Basic plans put more assets into survivor’s estate, possibly leading to increased taxes. Conservatorship or guardianship involvement may be necessary. A lifetime beneficiary trust is a better option than outright inheritance because it avoids all of the disadvantages associated with ‘I love you’ wills. Your New Jersey estate planning lawyer can help you with this process. One of the most common ways for a will contest to emerge is to have a track record of changing or revoking your will. This is not to say that you cannot update materials you’ve put together previously, but simply that you should do so with care. 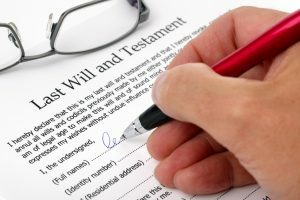 Your will should be reviewed on a regular basis to ensure it’s still in line with your wishes, but it’s important to verify that you’re following the best practices in the industry when revoking your will so that it would be difficult for someone to argue down the road that your current will is invalid. One of the primary reasons why you might want to change your will is because your relationship with charities, friends, and family members are capable of changing all the time. When you initially put your will together, it may be part of a clear plan to leave behind certain assets to particular people. Over time, however, these needs may evolve. An old will that is mostly full of outdated information should be revoked. The good news you should be aware of is that it’s typically easier to revoke a will or to change one than to create one from scratch. Sitting down with your estate planning attorney can help prompt questions about why you want to revoke the old will and what your new document should contain instead. Revoking a will makes the old one invalid. 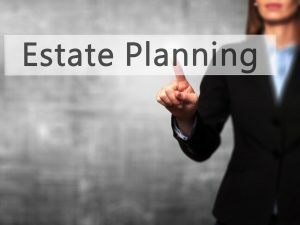 It’s a good idea to set up an appointment with your estate planning lawyer if you intend to move forward with this step. If you do not put together a valid will, people may allege after you pass away that your new will is inaccurate and therefore your old will may still remain viable for pursuing the distribution of your property. Making a big change like revoking your will is something that should be done with the guidance of an experienced estate planning lawyer in NJ who can tell you more about what you need to consider both when terminating the old will and putting together the new one. Details matter in this process, so it’s important to have a lawyer you can trust. Many people express discomfort when it comes to talking about their own mortality or putting together an estate plan. Many more individuals simply believe that they do not have enough assets to warrant an estate plan. Remember, however, that putting together these critical documents and planning strategies is about more than what will happen to your assets after you pass away. It is also about planning for incapacity as a result of a disabling event. Unfortunately, far too many people fail to include this in their long-range planning and therefore expose themselves and their beneficiaries to unnecessary confusion and frustration. People make plenty of excuses about why they do not engage in their estate planning. 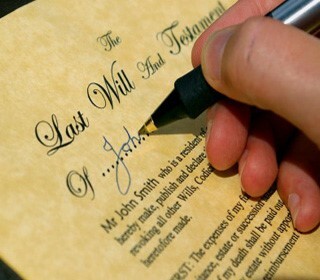 According to a Gallup survey completed last year, half of all Americans do not have a will. Thankfully, there are some critical steps you can take in order to make this easier. First of all, it is impossible to have a detailed conversation until you have inventoried all of the property that you do have. You should also learn which of these assets fall outside of the scope of any will. These may include a 401(k) account, a life insurance policy or an IRA balance. Use a celebrity’s passing or a friend’s passing away without a will to broach this conversation while also giving some emotional distance. It is not always easy for people to think about their own mortality and planning ahead opportunities. However, it is critical to incorporate having a will into your estate planning guidelines in order to make things easier for your beneficiaries and to assist them in avoiding the probate process. A knowledgeable New Jersey estate planning attorney can help you incorporate all of these goals into your short and long term planning. When it comes to the process of financial or estate planning, the focus will usually be on preparing you for the future. There are certainly several different aspects of this, including deciding the best time to select Social Security, putting together a will and thinking about how taxes will influence your future. There is one exception, however, and that is estate planning. Estate planning focuses solely on you and helps to give you greater peace of mind and security about your future. Although the elements of financial planning will primarily benefit you, the purpose of estate planning is to benefit charities and other loved ones long into the future. This can make a critical different when thinking about the differences between estate and financial planning. In order to address uncertainty, you need to think beyond the will. 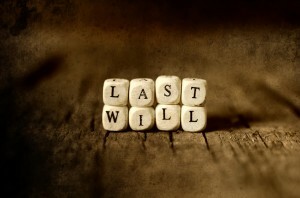 Certainly, the will is the foundational element of your estate plan but it’s not the only factor your need to consider. Your estate may be more complex than you think and you may need to have a trust as well as powers of attorney, healthcare directives or guardian designations. Speaking with an experienced New Jersey estate planning attorney is the only way to ensure that you have covered all of your bases. Anytime that a celebrity passes away, we get the opportunity to benefit from his or her planning or lack of planning. Unfortunately, a growing number of Americans, much like pop star Prince, do not have a will at all. Allocating what happens to your things after you pass away. If you have specific assets you would like to pass on to particular individuals, your will can outline this and make it much easier for your beneficiaries by avoiding the probate process. This can be one of the biggest and easiest benefits of stipulating what you want to happen in your will. Your children. Creating a will is an essential component of your estate planning if you have minor children because it allows you to name a guardian for these individuals. Charitable help. If you wish to give back to charities after you pass away, your will can direct part of the money to those groups. You may also need to use more complex estate planning tools like a trust in order to get the maximum benefit out of this process. It is easy to create a will. Don’t make the mistake of assuming that you can create a will on your own as using generic forms could run counter to existing state or federal laws and fail to capture the complex nature of estate planning. Your will can help to articulate your plans for the future and give you peace of mind. 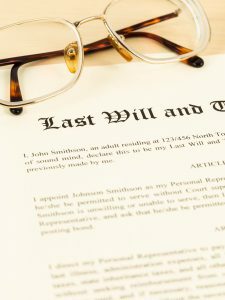 Thankfully, putting together a will is relatively easily accomplished when you set up a meeting with an experienced New Jersey estate planning attorney. Do not hesitate to get help on your estate planning matters as soon as possible. Video: What is the Difference Between Revocable & Irrevocable Trusts? What is the Difference Between Revocable & Irrevocable Trusts? Hear Attorney Neel Shah Explain in this quick video. If you read yesterday’s post, you’ll know that wills and living trusts each accomplish three goals, but they are not one and the same. Neither document is likely to be a comprehensive solution for all your needs, so you’ll need to consider what time period you are planning for. If you are looking simply to plan for what happens after you pass away, both a will or a living trust can be a good option. If incapacity, however, is your primary concern, a living trust is far and away the more superior tool. Many people focus on what happens after they pass away when it comes to estate planning, but disability and incapacity are increasingly important concerns regardless of your current health. Assets inside a living trust will already be under the control of a trustee you named to manage things in the event of your incapacity, this allows for a smooth and quick transition. Rather than having to wait out months in a legal disability proceeding, you’ll have a trustee who is empowered to act right away. There are a few other reasons that a living trust wins out over the will, such as if you have a vacation home or real estate located in another state. This is because you won’t have to worry about the estate being probated separately in each state after you pass away, so long as the property is inside the trust. 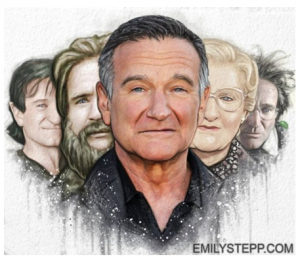 The loss of Robin Williams last week certainly sent ripples across the country, but it also highlights an important topic for your estate plans: privacy. Within a matter of hours after news outlets started reporting his death, details about the trusts documents he had established for his three children started emerging as well. The prime sources for these details? Gossip websites and tabloid. One site even published a 35-page document detailing Williams’ irrevocable trusts established for his children. Shortly after these documents, one of which dated back to 1989, hit the media, Williams’ publicist responded that neither of them were accurate with regards to the former actor’s current estate plan. What’s most disturbing, however, is that trusts are most often used instead of wills because of the veil of privacy they offer. So how did Williams’ documents, albeit outdated, end up in the public eye? The trustee of both the trusts had requested a co-trustee successor be appointed back in 2008, when the originally designated individual passed away. All of the public sharing of the trust document could easily have been avoided simply using trust protectors, like an accountant, trusted friend, or attorney who retains the power to appoint or remove trustees. To learn more about ensuring that your trusts are protected privately, contact our offices at info@lawesq.net or via phone at 732-521-9455 to get started. For the most part, financial planning and estate planning tools are very similar for men and for women, but there are several facts that result in special planning considerations for women as well. The root of these considerations is that in later years, women may face their own set of challenges. To start with, women tend to live longer than men do. A woman may overlook the fact that odds are in her favor for outliving her spouse. In fact, according to the Census Bureau, nearly 40 percent of women over the age of 65 are widowed. That longevity may also lead to higher medical bills. When your financial future is built on a husband’s pension or Social Security benefits, the woman can face major challenges as a widow. Women are also much more likely to provide care to children and elderly parents. Many women tend to take on this role for older parents, which can be emotionally challenging and a financial adjustments. Women looking at estate planning should seriously consider where their income will come from in the future and what, if any, benefits they will be eligible for. If women are looking at caring for their own elderly parents, it’s also worth a look into the parent’s planning to see whether they have made plans for long-term care or factored in the financial aspects already. A little advance work can go a long way in helping women live long and comfortable lives. To learn more about estate planning, email info@lawesq.net or contact us via phone at 732-521-9455 to get started. Especially if you have taken it upon yourself to write your will, it’s important to know that you have opened your heirs up to the risk of having your will contested in court later on. 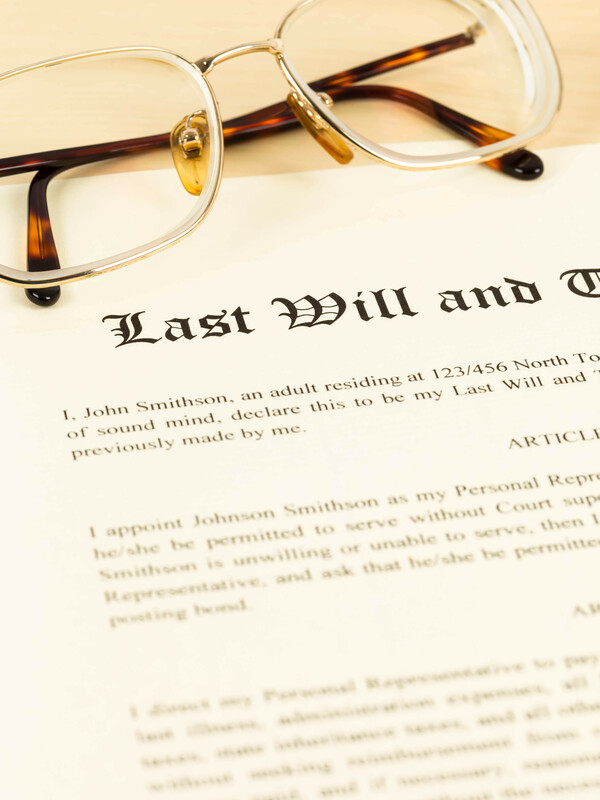 Here are three of the most common mistakes that result in a contested will. The law tends to treat the distribution of assets relatively fairly when there are questions about intention or mistakes in the handling of the will. So, if you’re stipulating that you want to leave an individual out altogether, you need to make sure those instructions are crystal clear. You want to have this written by an attorney to reduce that chances that you have given such an individual room to argue in court. In many circumstances, you need to sign your will in front of witnesses in order for it to be valid. These witnesses may later be called I court to state that they were present and to discuss whether the person signing the will (you) had the mental capacity to sign such a document without any undue influence or pressure from other parties. One of the reasons that heirs (or those excluded) will contest a will is under the ground that you did not have the mental capacity to understand what you were doing. You must understand what property you own, your overall plan for passing on property, and who you closest family members are. Furthermore, a Living Trust, which preserves privacy, may be an option for those with a stronger likelihood of a contest in their future. To learn more about wills and estate planning documents, contact our professionals at 732-521-9455 or info@lawesq.net. What Can An Estate Planning Accomplish That I Can’t? 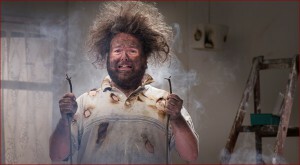 In this world driven by do-it-yourself options, it might seem like you can handle just about anything. 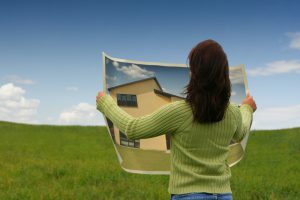 There are several things, though, that you definitely want to hand off to a qualified estate planner rather than attempting on your own. To start with, even the most basic of estate planning documents, a will, probably needs customization. If you’re using some form of template, trying to invalidate it could turn out badly if you don’t do it appropriately. This could mean that your wishes are totally ignored due to an overlooked accident. Each state has specific provisions and wording, so make sure you’ve gotten yours reviewed by someone in the know. If avoiding probate is one of the goals you have set out for your estate, you really should consider a conversation with an estate planner. The truth is that there are numerous ways to avoid probate and to minimize the blow of estate taxes, but those can be complex and require the eyes of a trained professional. Don’t count on yourself for those strategies. One of the biggest reasons to trust your planner is because laws in the realm of estate planning have the potential to change often. You most likely don’t want to read through laws and regulations to understand your opportunities and responsibilities, but attorneys are up to speed on all the latest changes. What you can do on your own is to generate a list of what you’d like to accomplish with your plans and draw up questions you have about the process. Being proactive goes a long way towards proper estate planning. To set up a meeting, email info@lawesq.net or contact us via phone at 732-521-9455 to get started. Do You Have a Digital Fortune? The estate planning landscape is changing, and it’s because our approach to determining assets is changing, too. 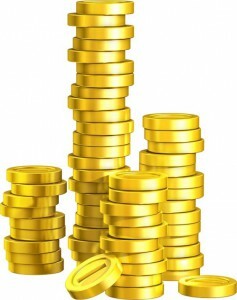 According to a survey by McAfee, Americans believe they own an average of about $54,000 in digital assets. Curious about a digital asset? What about your big ITunes collection? Downloaded resources and books on your Kindle? What about Paypal? Bitcoins? Or even more sentimental accounts, like a genealogy archive that’s helped you to identify relatives? Getting access to these materials can be difficult after a family member passes away. Your email account materials might be deleted before family members can even access the material and in the meantime, your accounts could be exposed to online theft risk. This is where a Digital Estate Plan steps in. It will help your will executor carry out your wishes in the distribution of your assets. This can be a complex process, since many of the sites mentioned about base their service agreements on federal laws. Nevertheless, it’s an important exercise to gather up an inventory of material you might like your family to be able to access if something happens to you. At the least, your family will be aware of the information’s existence. Login information and passwords should also be included with this material. Make sure you’re up to date with estate planning laws and trends by working with an experienced attorney. Reach out to us to get started at info@lawesq.net or contact us via phone at 732-521-9455. Depending on who you talk to, your estate planning specialist might recommend wills over trusts or trusts over wills. Let’s walk through some of the differences between these two planning tools to see if one might be a better fit for your needs. If you are planning to use a will as your primary tool, bear in mind that your assets must first go through the probate process in order to be eventually received by your beneficiaries. Some states have lengthy and cumbersome probate processes, meaning that it could take your beneficiaries a while to actually receive the assets. Probate is also very public, meaning that details about your financial situation will be shared in a less-private forum. If you’re concerned about this, a trust might be a better option. In comparison, trusts tend to pass by the court system for the majority of the administrative process. Since these are privacy documents, there’s less public scrutiny into your finances or your plans, and some clients prefer this confidential approach. Unlike wills, which become active on your death, a trust can be rendered effective immediately. Additionally, trusts can also be used for incapacity planning, adding another layer to their usefulness.